Yes, you read that right. No, you're not dreaming. In this week's episode of dusty has-been R&B singers gone wild, Keyshia Cole was arrested in Los Angeles for assaulting Birdman's side piece. Okay, where do I begin with this one *takes deep breath*. TMZ is reporting that the BET reality star and Birdman of Cash Money are dating, bumping uglies, swapping disease-ridden spit etc. Keyshia showed up to Birdman's condo in L.A. at 5 a.m. this morning. The doorman was clearly oblivious to what was going on because he let Keyshia right in. When she entered the condo (this bish got a key? I see you, Keysh! ), she saw another woman in there and proceeded to bring "The Town" out and mauled the jumpoff with her nails and left numerous scratches on the chick's face. Ouch. The biracial goddess was bailed out on a $46,000 bond. I can't wait for the rest of this story to unfold. How much you wanna bet Baby won't even claim her and will paint her as a crazy azz bird? I mean, he wouldn't be the first one (remember when Jeezy swerved on her and declined her proposal? lol). 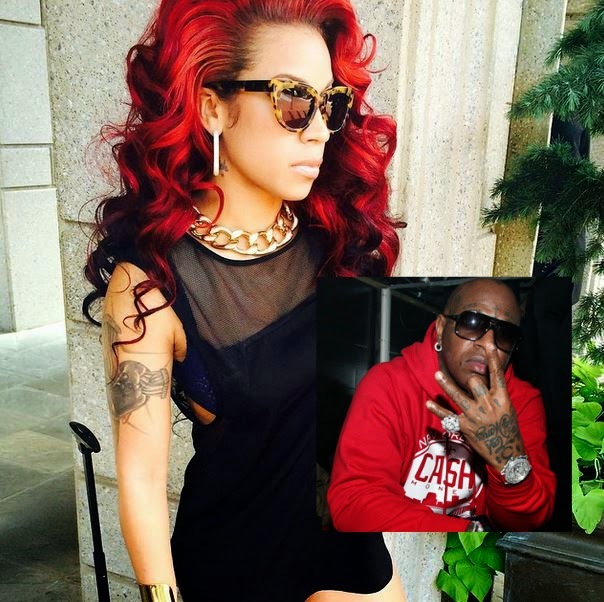 What do you think about Keyshia Cole get arrested for assaulting her boyfriend Birdman's side piece?